Julie Harwood of Feet First Foot Care and Reflexology is a member of the College of Footcare Practitioners. She has been providing quality foot care for more than 20 years. Your feet are in safe hands! Call Julie on 07813 969006. Julie Harwood is professionally trained by Scholl and worked with them for several years as a mobile Footcare Practitioner. Her in-depth experience includes foot health specialist on the Canberra cruise liner and practising within a variety of clinics before establishing her mobile foot care service Feet First in 2005. 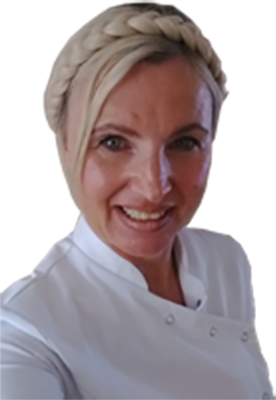 As a professional and dedicated footcare practitioner Julie works hard to develop her skills and add to her impressive list of qualifications. I have been using the Feet First foot care service for the last two years. During that time I have learnt to look forward to my treatments as my feet feel so much better after a visit. Julie has been treating our feet for 10 years now, We look forward to her visits and have healthy feet and love the reflexology aspect. As an amateur footballer. Jule has always had a challenge with my feet but she has always succeeded in making them better. No matter the mess they were in and she is a pleasure to have in your home. Summer is here and it Looks like it's here to stay! Same Fabulous Service - New Location!